New Delhi: In a move which further underscores its vision to create a data literate world, Qlik has now expanded the Qlik Academic Program to over 150 universities across India. In addition to prominent universities such as IIM Bangalore, IIM Lucknow, IIM Indore, SP Jain School of Global Management, and NIT Karnataka, Qlik has now added renowned names such as IIM Ahmedabad, Loyola Institute of Business Administration, Tata Institute of Social Sciences, University of Petroleum and Energy Studies, NIT Patna, IIM Guwahati, IIM Raipur, and IIM Kozhikode as a part of the program. Through this free-to-use online program, Qlik aims to help future waves of Indian professionals across every academic discipline become more job-ready by equipping them with advanced analytical and data literacy skills. Several students from participating institutes have already completed the coursework and received a Qlik Sense Business Analyst or Data Architect Qualification from Qlik. Designed as an easily adoptable university-level program, the Qlik Academic Program is aimed at helping higher education institutions in India and across the globe strengthen their academic offerings by adding marketable data skills to their curricula. The adoption of the Qlik Academic Program in India is most prominent across institutions offering engineering courses, since analytics aligns well with subjects such as data mining, database management and programming. However, there has been an uptake in other academic streams such as business management and social sciences, which are starting to use the program to both assist with research projects while also to learning to improve decision-making processes through data. According to the Data Literacy Survey by Qlik, while two-thirds of companies (63%) globally are planning on hiring more data literate employees, the onus is on the individual. Business leaders have been unwilling to commit resources to improve the data literacy of their workforce, with only 34% of firms currently providing data literacy training. “With free access to our state-of-the-art analytics platform and curated online learning content, students across the country can equip themselves with the necessary data skills they need to thrive in today’s data-led business landscape. 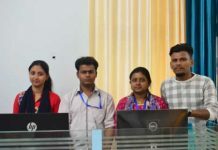 Through this initiative of getting students exposed to data sooner, we believe that the students will be more valuable in the workforce when they graduate and this will significantly accelerate their career growth,” added Pankaj Muthe. The Qlik Academic Program is open to any accredited university-level institution worldwide, for-profit and non-profit colleges alike. The program provides professors with ready-to-teach, free resources – including instructor-led content, in-class activities and interactive business use cases. Students and professors can also take advantage of the Qlik Continuous Classroom, a distance-learning platform with over 125 hours of online learning content. With the latest expansion, the Qlik Academic Program is now available at more than 1,200 universities in more than 75 countries.